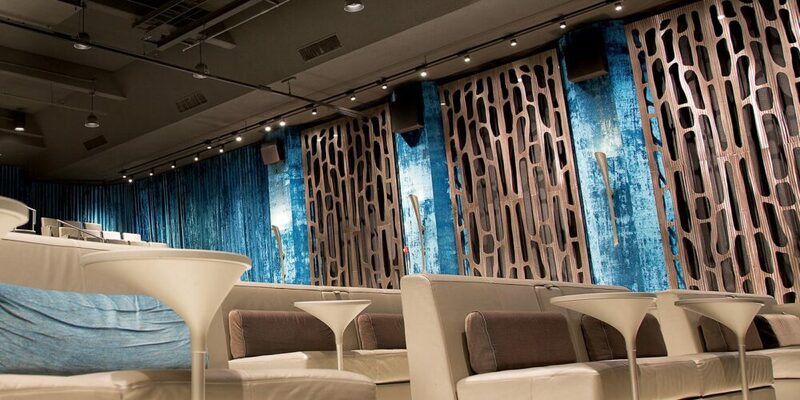 Theatre 1 at the Revere Hotel opened in Boston’s historic Theatre District in April of 2012. 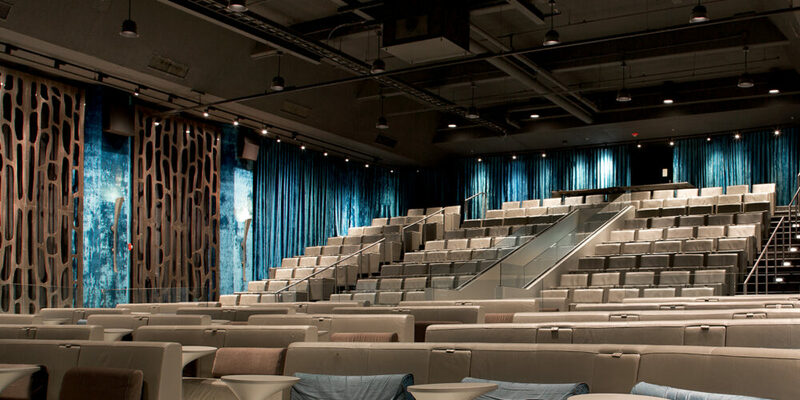 This ultra-luxe cinema and live event space is a modern renovation of the former Stuart Street Playhouse, a landmark in Boston’s thriving theatre scene. 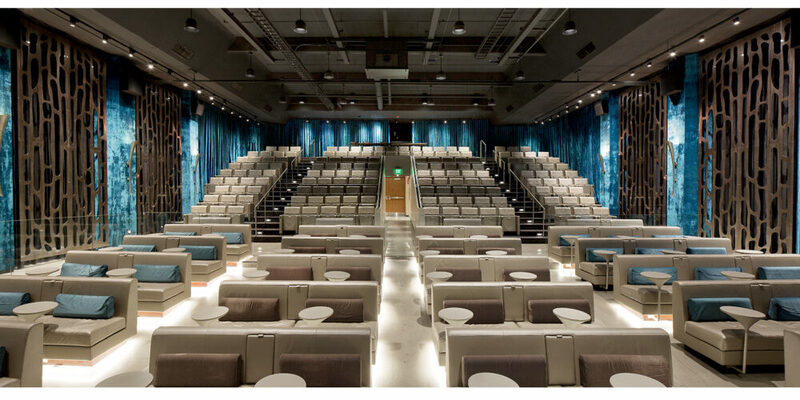 With 225 seats and state-of-the-art technology and amenities, Theatre 1 plays host to a variety of film screenings, premieres, and festivals in addition to numerous corporate presentations, meetings, and conferences. New York interior design firm, BBG-BBGM, sought out the expertise of the Móz Metals team to create the iconic floor-to-ceiling wall features on display at Theatre 1. 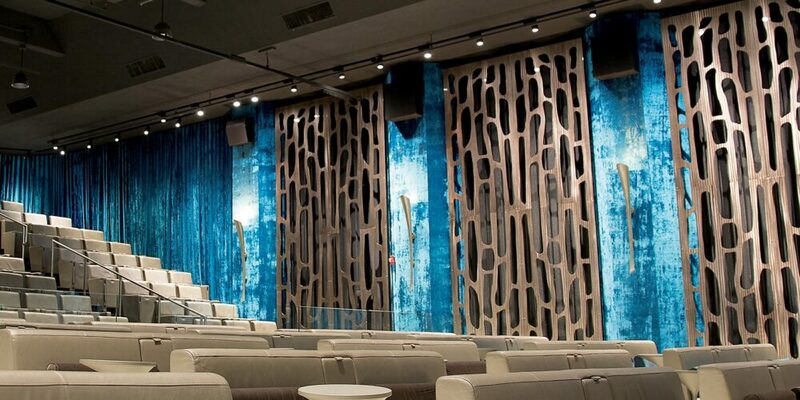 The aqua patina panels made from solid core aluminum mimic the theatre’s decorative textiles and replicate the appearance of a blue velvet curtain. The adjacent bronze grates, spanning 8’ wide and 20’ high on 1/4” thick aluminum, feature custom crafted intricate laser cutouts showcasing Moz’ metal fabrication expertise. The grand metal wall features frame the myriad of events held at the Revere Hotel theatre, bringing contemporary manufacturing, materials, and intrigue to the Boston Theatre District.